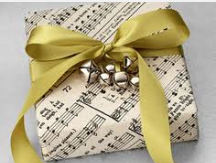 25 Musical Gifts for the Singers in your life! We all know someone who loves to sing. 1. 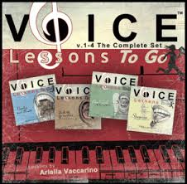 Voice Lessons To Go- The Box Set- These are singing lessons on CD. They come in 4 separate volumes or as a box set. 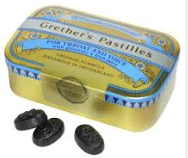 Singers can use them on the go to warm-up their voices and to train from. 2. Voice Recorder- What happened to the tape recorder? They have them now on smart phones, pens and little handhelds for purchase. 4. Humidifier- Important for those dry heated homes. (Get a cool mist one.) Voices don't like dryness- at all. 5. 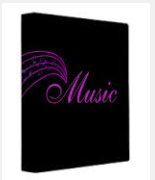 Personalized Three Ring Binder- Singers need a place to keep their repertoire. Make sure it has pockets inside for loose music pages. 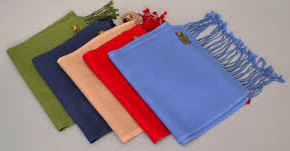 Also, the binder should have an attached flat bag for highlighters, pencils, and pens to fit inside. 8. Vocalize!- For your music reading friends. 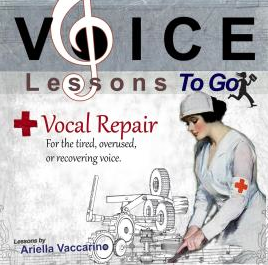 This book contains 4 volumes of voice lesson exercises transcribed to sheet music from Voice Lessons To Go. Excellent to sit at the piano to train or teach from. 9. Scarves- Great to wear over throats, ears, and over the mouth on a cold winter walk to keep the air that hits your throat warm between auditions. 10. 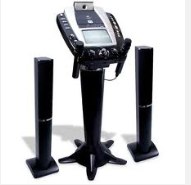 Karaoke Machine- Fun, and there are so many types now at affordable prices! 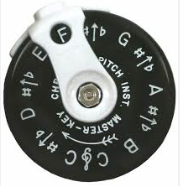 Look for one where you can adjust the starting keys of the songs. 11. Vocal Assessments- A professional opinion on a singing voice, all through the internet. The singer sends in a recording of their voice with questions, and receives a thorough breakdown, critique and advice on their specific instrument. 12. 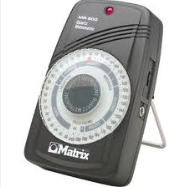 Metronome- These babies help a singer keep time. 14. 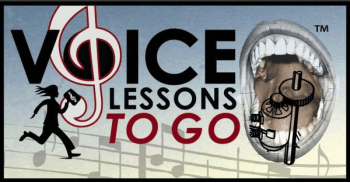 Voice Lessons To Go for Kids!- For the junior singers in your life. 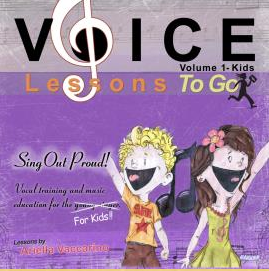 This CD is a great, fun, educational introduction to singing lessons for young kids. 16. Big Travel Thermos or Water Bottle- Singers need to drink regularly to stay hydrated when rehearsing. 17. A gift certificate for a Massage or Bodywork- People may not realize how important it is to do bodywork on a singer. If your body is tense, the voice can be trapped in. Bodywork does wonders for releasing the maximum sound and resonance in a singer's voice. 18. Recordings of fantastic singers to learn from: Here's some I like: The complete works of Maria Callas, 7 classic albums Ella Fitzgerald, Freddy Mercury, Elvis 75th DVD, Nat King Cole. 19. Singing, acting, improv, diction, or vocal coaching lessons- Singers can pay over $100 a lesson to develop their performance chops. Show them your support by sponsoring some lessons. 20. Vocal Repair- For the tired, overused, recovering voice. This is a great singing lessons on CD to help the singer gently get their voice back into shape after being vocally fatigued. 21. Concert tickets to see their favorite singers- Watching working singers perform can be a great lessons, joy and break for the aspiring vocalist. 22. Gym Membership, exercise classes, or workout video- Great singing requires a strong fit body to support the vocal mechanism. 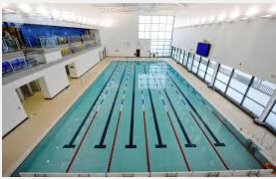 Look for Yoga, Tai Chi, or swimming access. These are some of the best forms of exercise for a singer to develop breathing skills, strength, and stamina. 23. Positive books, tapes, seminars, journals, support groups..., therapy...- Singing can be rough on the psyche. Singers often face a lot of rejection and hardships trying to find paying work, make an album, find a manager, follow their passion etc... Any form of encouraging strategic skill learning can be a real pick me up, whether it be a book or a weekend seminar away. 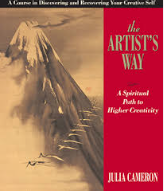 I like The Artist's Way. 24. 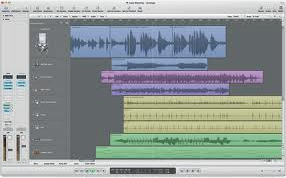 A complete Recording Set-Up- First you need a software program like Garage Band (super easy), Pro Tools, or Logic. Then a good pair of headphones to hear the voice back and a high quality microphone to sing into. For a real professional sound purchase some sort of audio interface like an Mbox. 25. A fantastic audition or performance Outfit- Clothes as singing gifts? Absolutely. We need to dress to impress. Whether it is a gown for opera, a slinky dress for Jazz, or sweet leather pants for rock and roll, singers need to look their best.